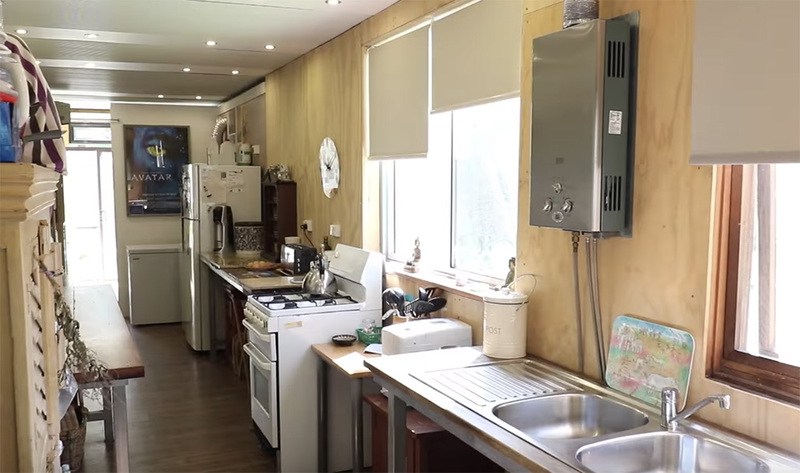 Could you move from a comfortable home with a pool in the suburbs to an isolated, off grid shipping container home? Paul and Sarah Chambers did just that; they grew tired of spending the majority of their income on their large suburban home and took the leap to move off grid and live off the land in a home built from two shipping containers. 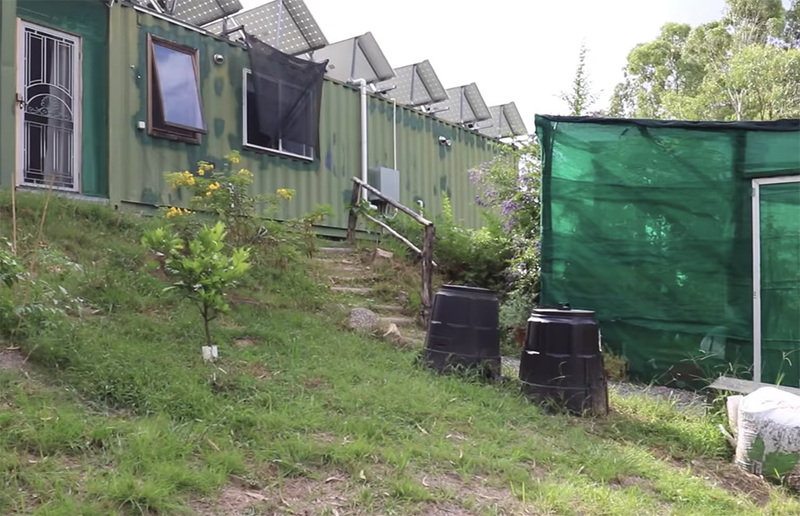 They have created a beautiful paradise in Australia where they live in the thick of nature, grow their own food, and have no utility bills or mortgage payment. 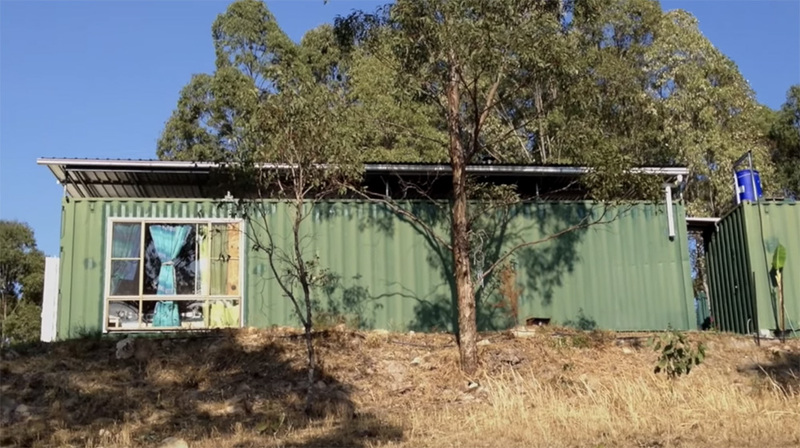 The shipping container home started out as a side project for Paul, but has turned into the couples’ full time residence. 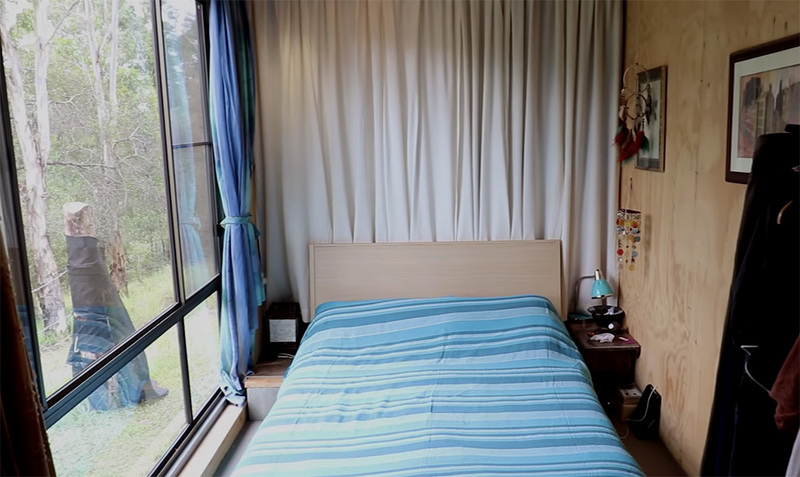 One container houses the kitchen and bathroom and the other holds the bedroom and living room. A third, smaller container that sits beside the main residence is used as a workshop for Paul and for storage. 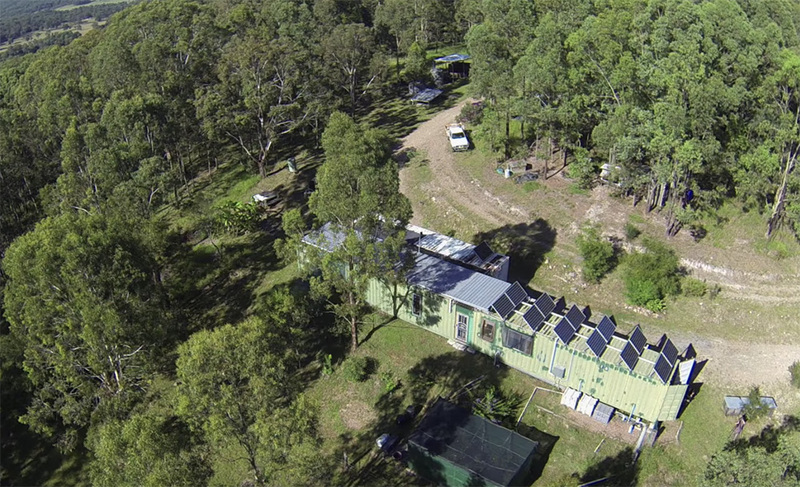 The Chambers’ hauled their containers onto a rural property and placed them on concrete blocks. The landowner lets them reside on the property in exchange for making improvements to the land. 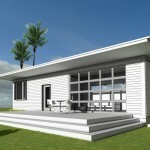 The appeal of using containers for their home as opposed to traditional building is that the containers can be moved in the future with relative ease, if necessary. 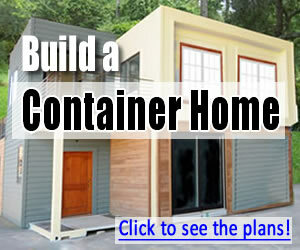 Paul started the process of building a container home with “no experience and lots of enthusiasm”. The building process took three years, as all the work was done by him and Sarah, who learned along the way how to do each step of the build. They obtained materials as they could afford them by saving up and working on one project at a time until the home was complete. The materials needed to properly complete a shipping container home are similar to what you’d need in a traditional home build. The Chambers’ saved a huge amount of money, however, by doing all the work themselves and using recycled materials whenever possible. The kitchen contains all the appliances and amenities you’d find in a regular home: full-sized refrigerator and stove, a chest freezer, a sink and countertop, a seating area, and plenty of storage space. The bathroom has a shower, sink, and composting toilet. A solar-heated outdoor bathtub sits on a deck outside the home for summer bathing – a luxury that’s just not an option for urban dwellers! 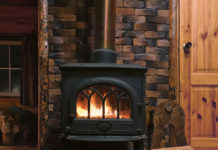 The second container holds a small living room area with a wood burning stove for heat, a computer desk, and the bedroom. 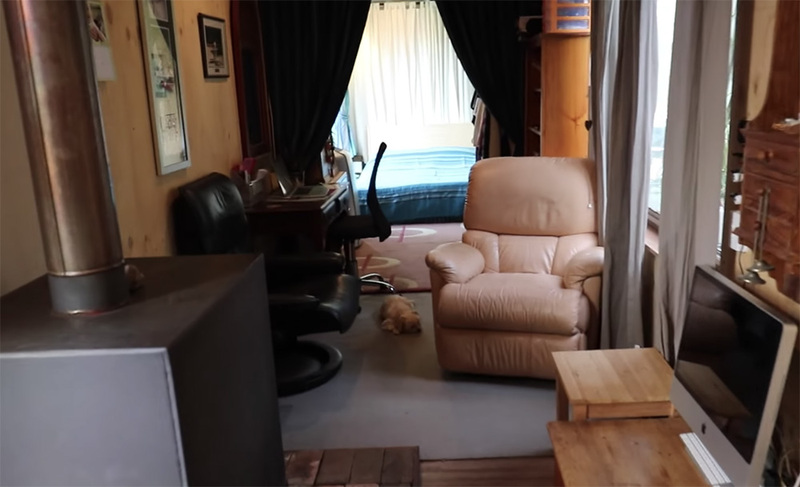 As Sarah says, the space in the home is more than plenty for two people. Although it’s long and thin, there’s definitely enough space. And you get used to it. 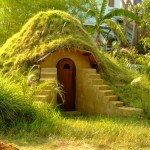 You get used to living in a smaller, compact space. 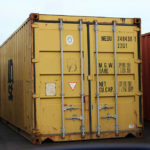 Each of the containers is 28 square meters. This gives us space comparable to a one bedroom apartment in a major city. 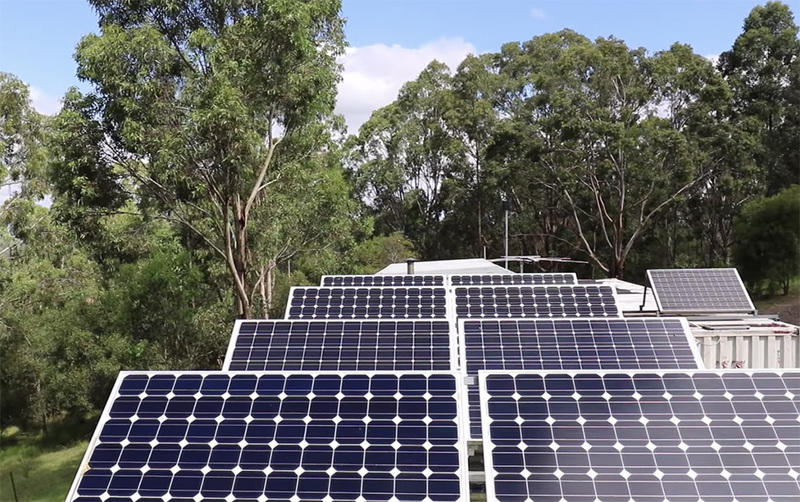 A rooftop solar panel array sufficiently powers the entire home, including lights, all the standard-sized appliances, and an air conditioner. The array consists of twelve 250 watt panels that are arranged at the optimal angle for winter sun exposure. The collected energy is stored in two battery banks. Under the hot Australian sun, the batteries can often be full by 11:00 in the morning. We don’t have connection to town power. It was actually much easier to go off grid than I thought. We bought a decent generator and that gave us power for the first six months. It took time to install the solar panels and to get the wiring and have the sun produce it, but it’s actually really, really simple. 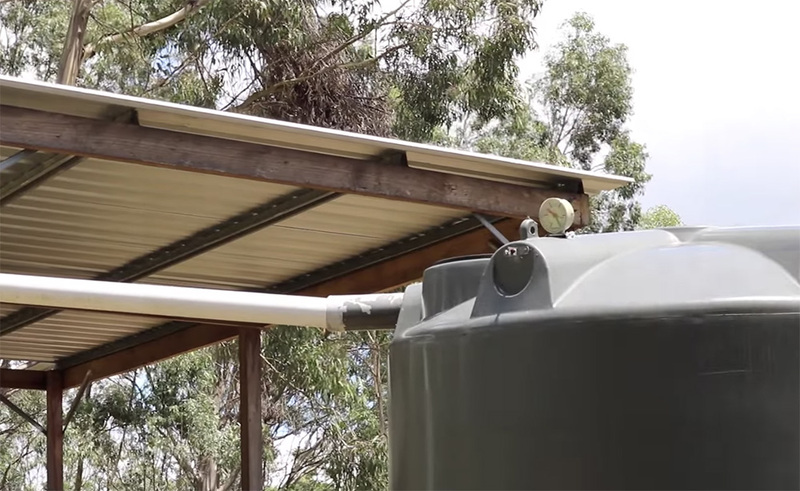 Water to the home is provided by a large rainwater collection system. The majority of the water is collected from the slanted roof over the home and is run through gutters and pipes to storage tanks. Additional water is collected from the roof of a wood storage shed adjacent to the home. Building a water catchment system that collects and stores enough water for comfortable living can be a big challenge when going off grid. This system has evolved over time and is finally at a point where it is completely sustainable. Household waste is composted to create amazing soil for planting trees. Just downhill from the home, a large cage structure houses raised beds and containers to grow vegetables and fruits. 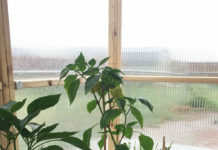 The netting around the cage helps protect the plants from animals and from too much sun exposure during the hottest months. Plants grown in this area are automatically watered with the greywater from the kitchen sink, which is piped downhill to the plant tubs. 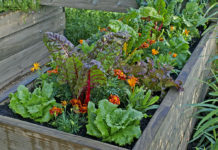 Similarly, water from the shower is piped to the raised garden beds, which were created with scrap steel from the home. Having always lived in a rural area, going into suburbia was really a major crisis for me. I don’t like the energy there. There’s not really a lot of nature to connect to. Everything was very materialistic. 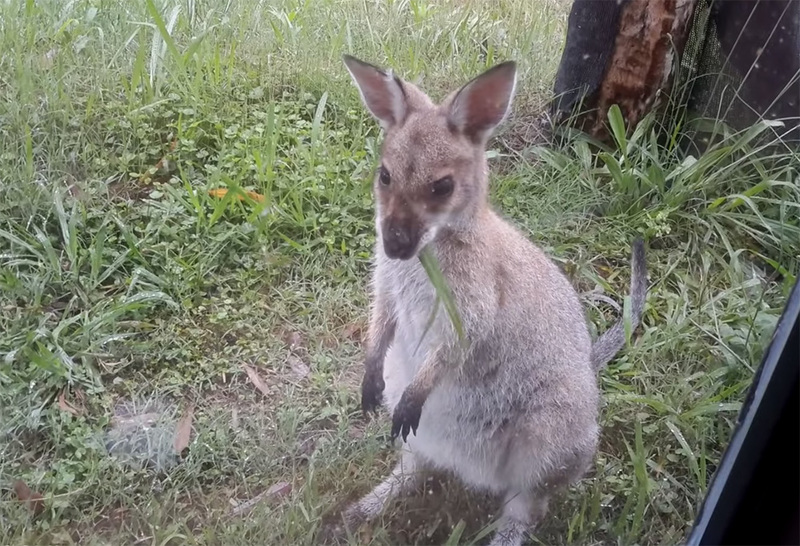 It was wonderful to come and live in the middle of the Australian bush because the connection with nature is absolutely wonderful. This is one of the most inspiring off grid stories I’ve seen. Not many people are willing to completely uproot their comfortable suburban lives to live in the wild, creating a sustainable living space as they go. I encourage you to watch Paul and Sarah’s video of their process below. 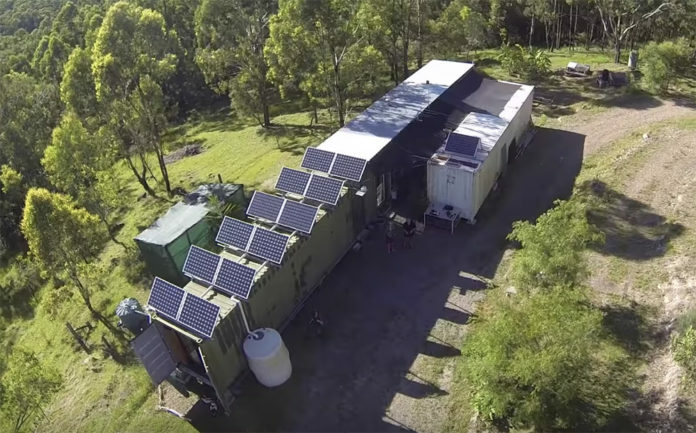 You can also read more about their shipping container home and off grid adventures on their website. 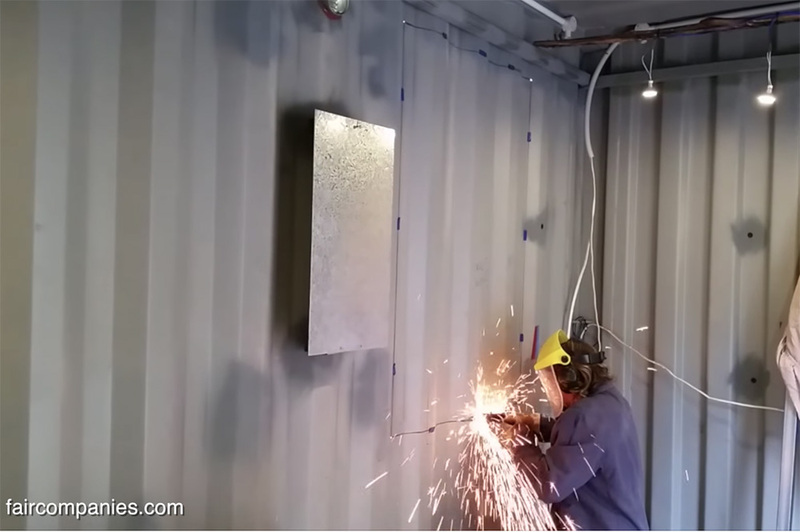 They’ve done an amazing job of documenting their building process, and they provide a ton of wonderful information for others looking to build a shipping container home.